Paul Baay, CEO of Touchstone Exploration. 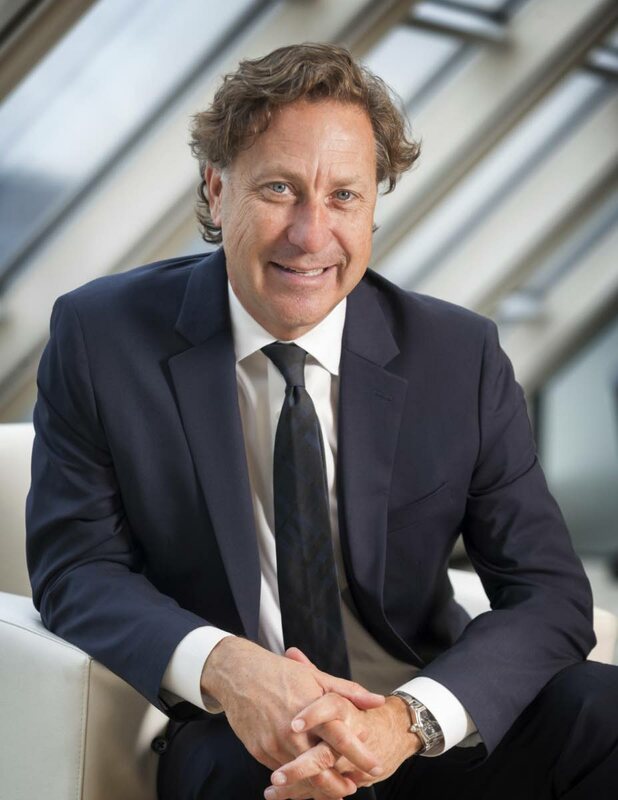 When Canadian oil production company, Touchstone Exploration, started out looking for a place to invest a decade ago, it searched the world for the right fit. “We were looking for one thing. Somewhere that already had discovered large oil (acreages) in place but hadn’t already used technology to get it out of the ground, and a stable government environment,” CEO Paul Baay told Business Day. After checking out Libya, Egypt and Mexico, the company set up in TT, where they’ve been operating from their Fyzabad base for the last eight years. Since then, he’s considered the company’s US$70 million investment in its TT operations a success. “We started with about 130 barrels per day. We’re at 2,000 barrels a day today so that’s really successful. We also never take anything out. All the money we generate goes back into drilling and doing things here,” Baay said. Touchstone uses new pumping and drilling technology to really maximise production from mature wells. 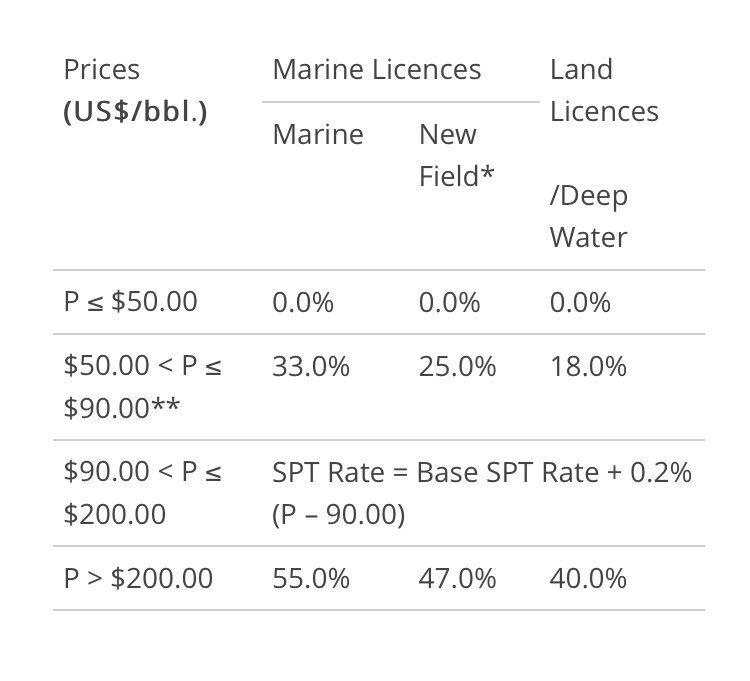 Seventy-five per cent of their leases are joint with Heritage Petroleum (previously Petrotrin) and the rest comes from its second asset, Primera, with holdings in Ortoire where it is prospecting for new hydrocarbon finds. “We’ve never drilled a dry hole. We’ve drilled about 65 wells in TT but never a dry hole. We have wells that have produced 30 barrels a day and others up to 300 barrels a day and that’s the one thing about Trinidad. You’re not gonna get a dry hole. It’s gonna be somewhere in between there,” he said. In the last year alone, Touchstone has drilled 11 wells, and Baay wants to continue that momentum. The one thing holding him back? The current fiscal regime, in particular the supplemental petroleum tax, is cutting into the company’s cash flow, making it hard to free up capital for greater investment. “(The SPT) penalises you between US$55 (West Texas Intermediate price) to US$65. We’d be better at US$49 and right now we’re kinda stuck in that band, that’s where the world seems comfortable. Me as a CEO though, I don’t have as much cash flow so I can’t spend as much money so that means I can’t commit to another drilling rig, can’t do as much as I want to do, and the Government here is saying they want to grow production, increase employment. We want to do all of these things. So you get stuck in this terrible zone where you wish for oil to either go to US$70 or fall to US$49,” he said. 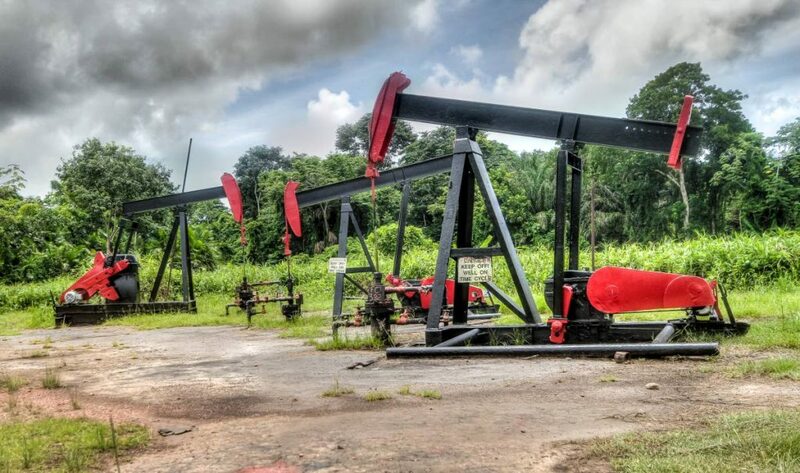 Petrotrin Pumping jacks along the Petrotrin Field Road. Leaving isn’t on the agenda right now, he said, because the company has a good base here. But for other companies who may want to enter the market, under the current regime and at current prices, there are other countries within the same geological basin that have better fiscal opportunities. Touchstone’s advantage is because it’s managed to build up to 2,000 barrels of oil per day, it gives them enough cash to explore, which is what they’re trying to do in Ortoire. “My preference would be where we have this balance going on where you have exploration and development simultaneously but if you have to you’ll go look for other development prospects in other countries,” he said. Baay isn’t the first person in the industry to bring this point up. In an email to Business Day, CEO of the TT Energy Chamber, Dr Thackwray Driver, said the current structure of the SPT is severely hampering investment in the oil industry. “Without this investment, oil production in TT would continue to fall and the (country) will lose significant revenue from taxes and royalties on oil production. The lack of drilling and related services will further dampen the already depressed areas of south Trinidad,” he said. He noted that Government has asked a technical team from the International Monetary Fund to review the oil and gas fiscal regime. The team had recommended that the SPT be replaced with a new cash flow tax, and while that was implemented, an interim reduced SPT rate be introduced. The Supplemental Petroleum Tax is a tax on revenues that kicks in when oil prices go over US$50 a barrel. “The Energy Chamber broadly supported the IMF recommendations for the oil tax regime. We encourage the Government to dust off (these) recommendations and re-engage with the oil industry to discuss how the shared objective of encouraging investment and increasing production can be realised,” he said. In 2016, Finance Minister Colm Imbert in his budget presentation, acknowledged that Government had “received a request to re-examine the current SPT levels.” In a press conference last week, Imbert, when asked about any plans to revise the current SPT system, said plainly, “Absolutely not.” Taxpayers would feel pain if Government did not collect SPT, he said, and the tax is a significant revenue stream for the country. “It’s there for a reason and we have absolutely no intention of adjusting it,” he said. Baay acknowledged the political difficulty when re-evaluating the SPT, especially in the context of Petrotrin’s restructuring. “It’s hard to lay off a bunch of people and say, hey we’re gonna give a bunch of tax breaks to the oil and gas companies. I understand that politically but there are mechanisms that the Government can do to reward the active operators,” he said. And he’s thought through the options. Right now the deductibility for SPT is 20 per cent. Baay suggests making that 100 per cent, rewarding companies who are actively looking for new oil and investing in the sector, without getting rid of the tax completely. Companies that are just harvesting oil, pay the full price. “I’m good with that but right now we’re being penalised (with the SPT) and encouraged (to look for oil) and it doesn’t work. It doesn’t make sense,” he said. The other thing is to make it a step tax, where companies pay incrementally for each dollar when prices reach US$50, but don't pay any tax when prices are lower. The catalyst for change, though, may be in the form of an unexpected state ally: Heritage Petroleum. Heritage, created last year and vested with the former Petrotrin’s exploration and production (E&P) assets, is Government’s hope for a profitable energy venture after the annual billion dollar losses of its predecessor. Several government officials have been on record saying that since E&P was one of the few profitable parts of Petrotrin, there are great hopes for Heritage to be a net contributor the Treasury. “Before Petrotrin could pass off E&P taxes as a payable to the Government and it would just show up as a liability on the balance sheet, but now Heritage will have to physically cut a cheque the same way we do,” Baay said. In fact, Heritage might feel it more because the Soldado field, which is where production can really be ramped up is subject to the 36 per cent offshore SPT rate. (Onshore rates are 21 per cent). “A third of your revenue is already coming off the top. I don’t think it works so if they’re counting on that to ramp up production (the Government) is going to have to deal with it,” Baay said. The company is already feeling a pinch, because, as Imbert, standing in for Energy Minister Franklin Khan in the Senate on Tuesday, reported, Heritage reported a net loss of US$2.76 million, although he tried to downplay it by comparing it to the US$50 million loss its much larger predecessor, Petrotrin, made in a similar period. Government has previously stated, though, that the company was getting prices higher than the WTI standard for its product on the international market. Reply to "SPT cuts cash flow"